The serach for "Network" highlights the main choice but also has lesser highlights to other panes that have links and influence. 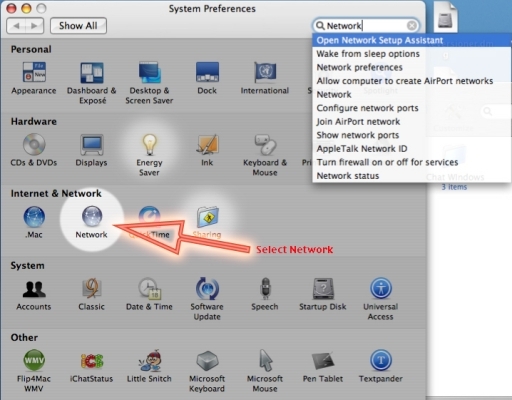 After selecting System Preferences in the DOCK or the Apple Menu you will arive here. I have done a Search for "Network" which highlights the item.